Yellow dock has been used as a multi-purpose plant for centuries. The aerial parts are a food source and the roots have strong medicinal values. 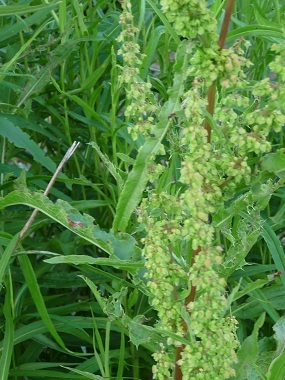 The seeds are useful and interestingly, yellow dock seeds are viable for up to 80 years. 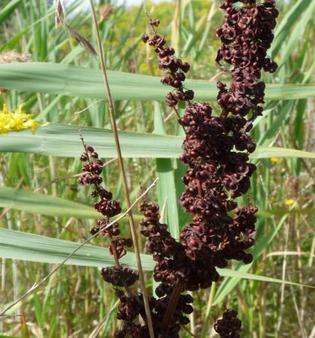 Yellow dock is an ingredient in some herbal toothpastes. This plant is also known as curled dock, narrow dock and curly leaf dock. Caution: The leaves usually contain high levels of oxalic acid. In very small quantities they can be eaten raw; eating large quantities means that the oxalic acid can lock-up other nutrients in the food, especially calcium, thus causing mineral deficiencies. The oxalic acid content will be greatly reduced if the plant is cooked. If you have any medical conditions, consult a health professional before you eat the leaves. Distinguishing Features: This tall-stalked flowering perennial is characterized by the narrow leaves that curl along the edges. The seeds on stem are most distinctive when they are a dark brown colour in mid-late August. Flowers: Yellow dock flowers are green and sometimes a touch of red. It is 4 mm long; outer whorl of 3 green sepals and inner whorl of 3 red sepals. The flower has no petals. 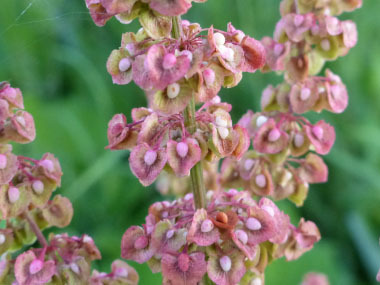 This unusual flower is located on a long slender, branching cluster at the top of a stem; flowers turn brown when they mature. 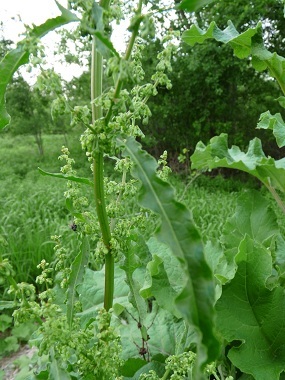 Fields of Nutrition has medicinal benefits and vitamin/mineral content of Yellow Dock. Leaves: Long, narrow, lance-shaped leaves are curled and have wavy margins. They are about 15 - 30 cm long and decrease in size the higher up on the stem they grow. Height: They can grow to 1.5 metres high. 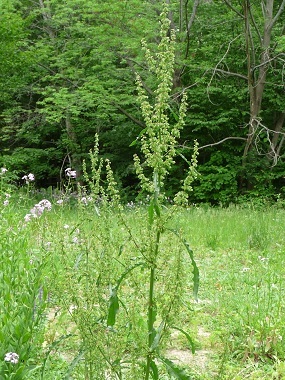 Habitat: Yellow dock loves roadsides, pastures, fields, and other disturbed areas. 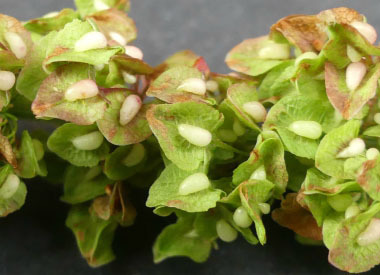 Edible parts: Leaves in very small quantities can be eaten raw until the flower spikes appear. Yellow dock’s leaves can be cooked at any time so long as they are green. Leaves can be added to salads, cooked as a potherb or added to soups and stews. Stems can be consumed raw or cooked but they are best peeled and the inner portion consumed. Seeds can be eaten raw or cooked once they are brown. Yellow dock seeds can be used as a coffee substitute. The root contains the most medicinal properties; it can be boiled to make a bitter tea that detoxifies, helps the liver or skin ailments, and is used as a laxative.